Fresh fish is an important source of nutrition in aged care but it can sometimes lack flavour and texture. 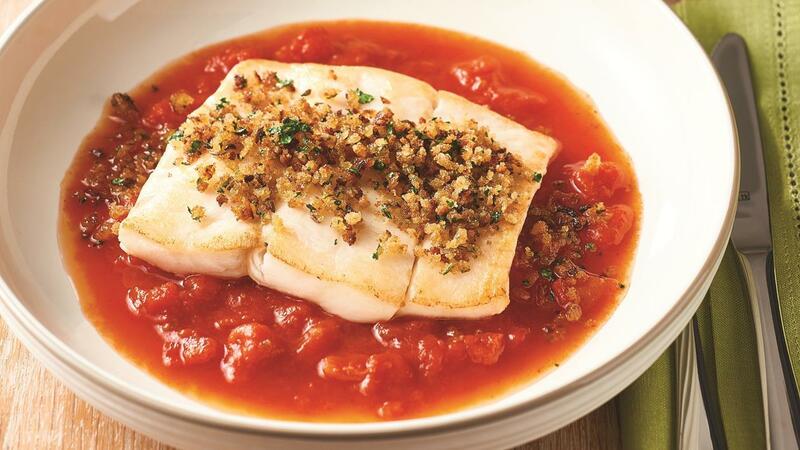 The tangy tomato sauce in this recipe complements the white fish fillets perfectly and the toasted herb crust adds crunch and flavour. Place the herb crust ingredients into a food processor and blend until crumbed. Place the crumb mix in a large fry pan and lightly pan fry until golden. Drizzle the oil on the fish and lightly pan sear, place on a large tray ready to bake. Simmer KNORR Pronto Napoli with wine for 10 minutes. Serve with sauté potatoes and steamed broccolini. Tip – Add olives into the crumb mix for a different flavor.